Photos of the Moon taken in 1966 triggered a global response; a response and satisfaction from all the mankind, since it was the first time that images from out of space were seen publicly. The 1960s was a decade of enormous public interest in lunar and space researches, and this tremendous public and scientific interest culminated with the first manned moon landing in 1969. However, three years before, the first photos of the Moon were taken by five unmanned missions from 1966 through 1967. The most famous is certainly the one depicting the Earth from the Moon that was taken in August 1966. However, many other photos of the Moon created in this period capture the Moon’s surface and its orbit. Famous Danish contemporary artist, Morten Lobner Espersen, paired these famous photos with his own art – ceramic vessels, for the exhibition that is about to be open at New York-based Jason Jacques Gallery. One of the most successful Danish ceramists of his generation, Morten Lobner Espersen (more precisely, Morten Løbner Espersen) was born in Aalborg, in 1965, and today he lives and works in Copenhagen. He has been working with his favorite object, the vessel. Espersen explores the dichotomy between the simplicity of the form and the complexity of the shape. 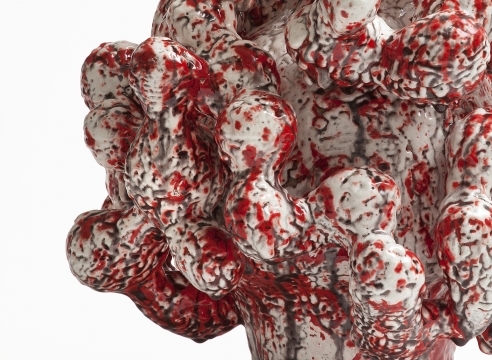 It doesn’t matter if the artist’s vessel is of modest, cylindrical nature or a chaotic, writhing mass of layered glazes. He aims to create a quality in glazing comparable to Japonist pottery. 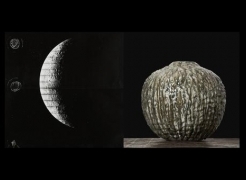 For the exhibition The Orb from the Lunar Orbiter Missions 1966-1967, the artist has created “Moon Vessels” – they are in spherical silhouette and highly textured. Finally, they perfectly match with black and white photographs of the moon. The photos of the moon were captured during the five unmanned missions from 1966 through 1967, as part of the special program aiming to photograph and assess potential landing sites for the famous Apollo mission. In addition, the mission served as a baseline for further investigations of the lunar surface and its geological elements. The first three missions photographed potential landing sites, while the two others covered the entire lunar surrounding. The lunar orbiters used a complex imaging system that includes a dual-lens camera, a film-processing unit, a readout scanner, and a film apparatus. 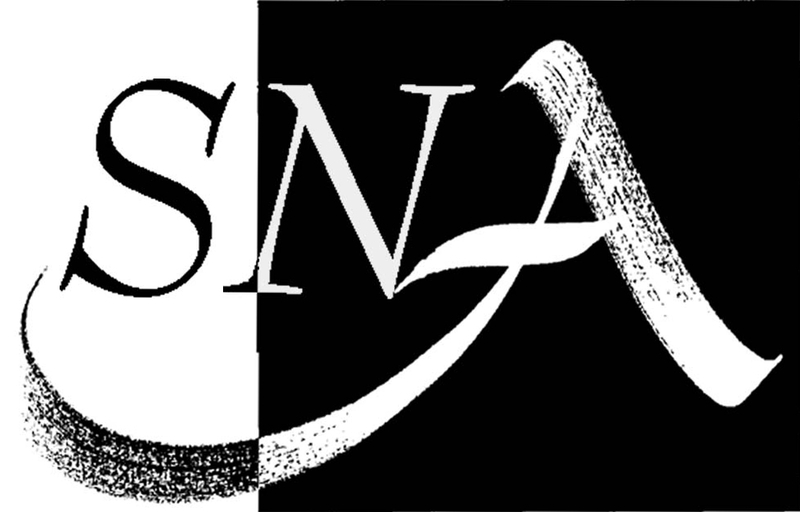 These quite famous NASA images will be accompanied with stunning works by Espersen that imitate the shape and surface of the Moon. On one hand, there will be black and white NASA photos of the Moon (that are probably recognizable for those interested in astronomy), while on the other hand amazing Espersen’s sculptures (many contemporary artists were influenced by the appearance of the Moon, including Lucio Fontana in his work Concetto Spaziale from 1961). What makes the exhibition The Orb show so special is a great combination of two-dimensional NASA images of the Moon, with three-dimensional Espersen’s vessels that contemplate our space and Moon imagery. Photographs that serve more as a scientific proves and scientific objects are paired with aesthetically challenging vessels made by Morten Lobner Espersen. These different interpretations of the Moon are combined in something what might be called “cosmic surrealism”. The exhibition The Orb will be on view from June 9 until July 30, 2016 at Jason Jacques Gallery in New York City. The opening reception is scheduled for Thursday, June 9, 2016, 6-9pm.